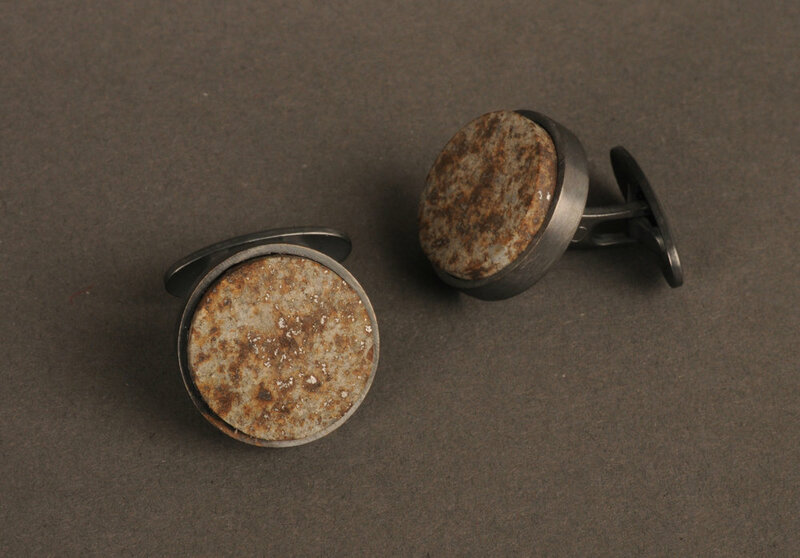 Jewellery artist Reinhold Ziegler presents works made with meteorites. The main emphasis will be on jewellery from his new small-scale production, which in both size and price can appeal to a large public. At the same time, he will show examples of his one-of-a-kind works. Most meteorites come from the so-called asteroid belt located between the orbits of Mars and Jupiter. They contain remains of the originary material from which our solar system was made and are therefore older than our own planet. 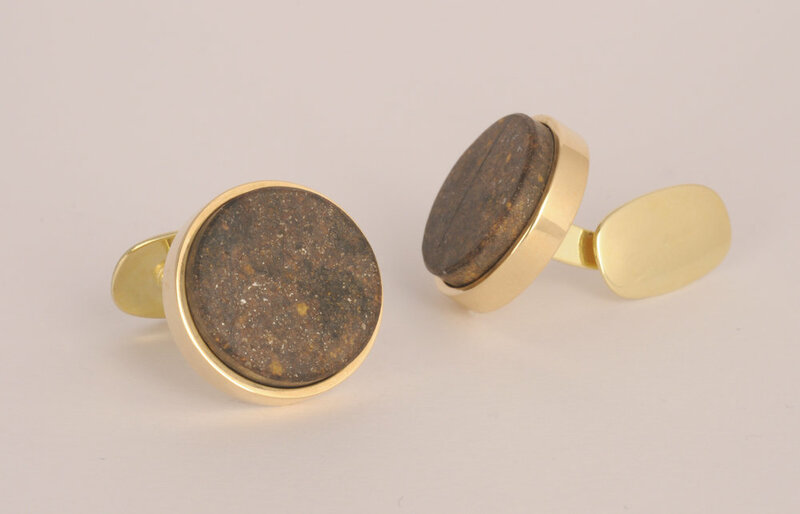 Many of the jewellery pieces Ziegler will show consist of rough stones that were formed by the dramatic encounter between the meteorite and the earth’s atmosphere. They have burned surfaces and formations resulting from turbulence and explosions. For other works, he has sanded and polished the meteorites such that their inner structure of condensed stardust is easy to see. Reinhold Ziegler makes jewellery objects with the intention of creating a connection between the wearer/viewer and the larger conditions for human existence; he wants to connect the individual with the universal. In this sense, he moves beyond the dominant trend in contemporary jewellery art, where the focus is on using jewellery to emphasize the individual. In his debut exhibition ‘Gravity’ at Galleri Format in 2011, Ziegler presented a series of jewellery objects themed on different aspects of the phenomenon of gravity. In 2014 he held his first exhibition of meteorite-based works under the title ‘Cosmic Debris’. The exhibition was first shown at the gallery Kunstnerforbundet in Oslo, then in Munich and Paris. It was accompanied by a similarly titled book published by Arnoldsche Art Publishers in Germany. Ziegler’s most recent solo exhibition, ‘Lust for Life’ (2017), was themed on early phases of life on earth and shown at Galerie Wittenbrink in Munich.